Hi there! 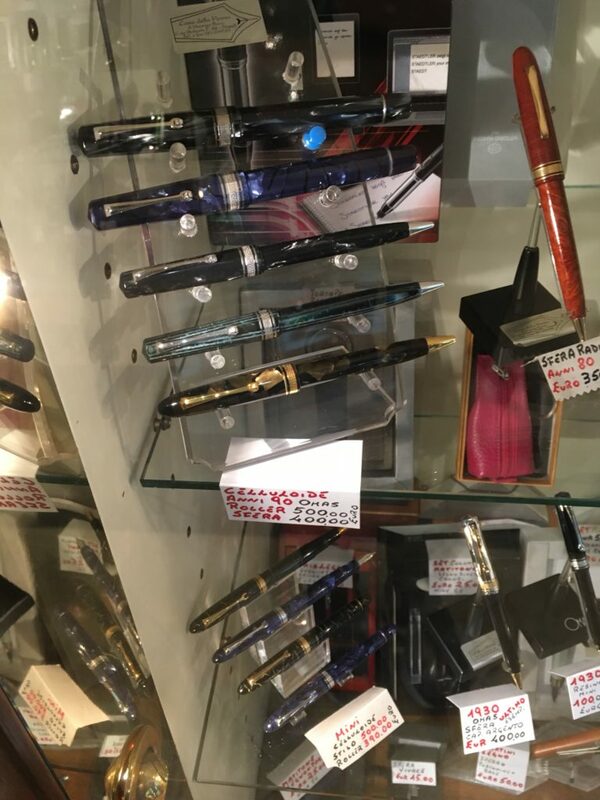 It’s that time again, another recap of pen shopping by Katherine. Previous ones include Tokyo, Kyoto and Osaka. 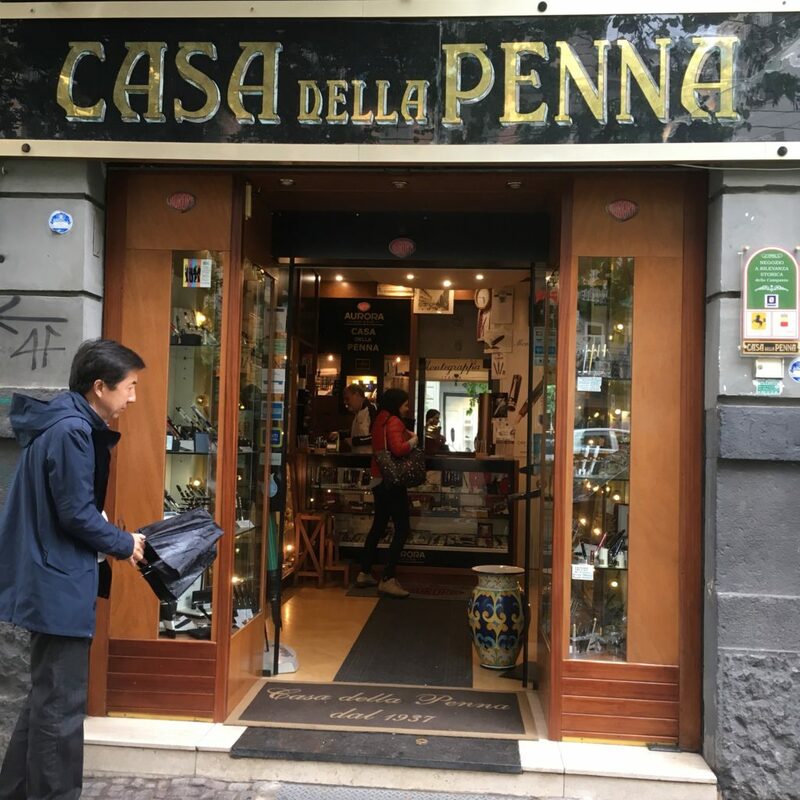 First stop: Casa Della Penna, really the only store that shows up when you search for pen stores in Naples. They have a pretty good selection of several brands — mostly mid and higher end ones. Montblanc, Aurora, Omas, Pelikan, pretty standard fare. They still have Omas in stock — but their prices seem to be pretty standard retail prices, so no deals here. I wouldn’t go out of my way to visit, but if you’re in the area (or live in Naples) it’s a pretty neat store to have near by. Beats anything we have locally in San Francisco! 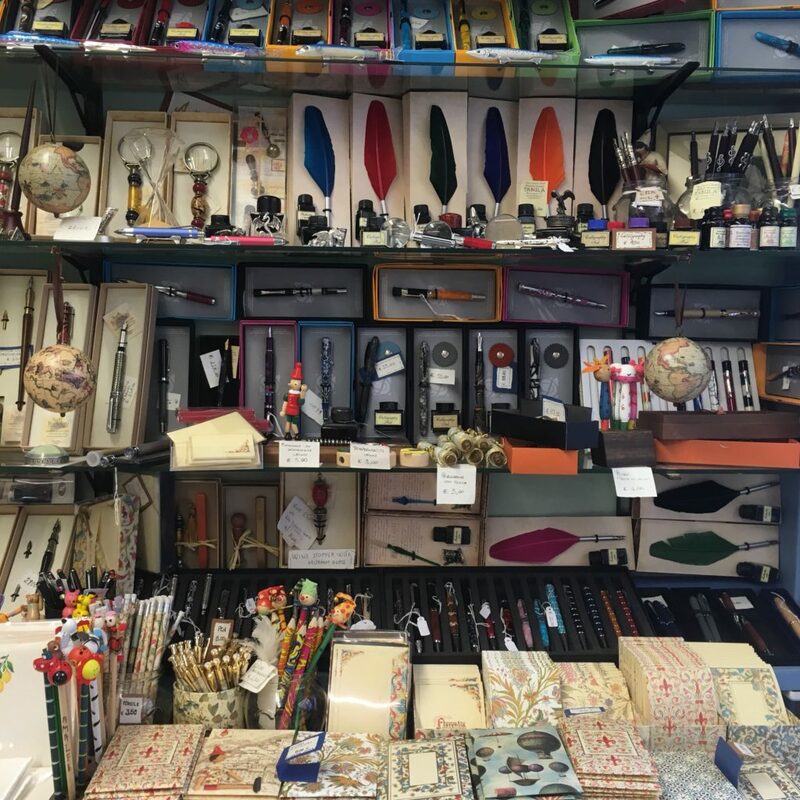 This is much more of a general office supply store than a pen store, but they do carry a selection of Pelikan, Delta and Lamy pens. Here’s the lovely M205 in the window display. They also had quite a few other M200-ish Pelikans. I don’t think they carry any pens over €200. 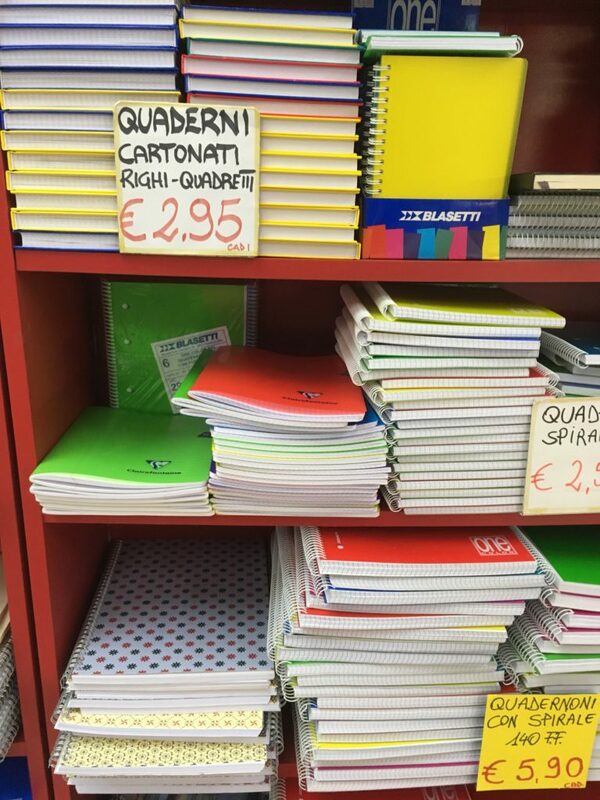 But lots of notebooks and paper! Including quite a few fountain pen friendly brands. 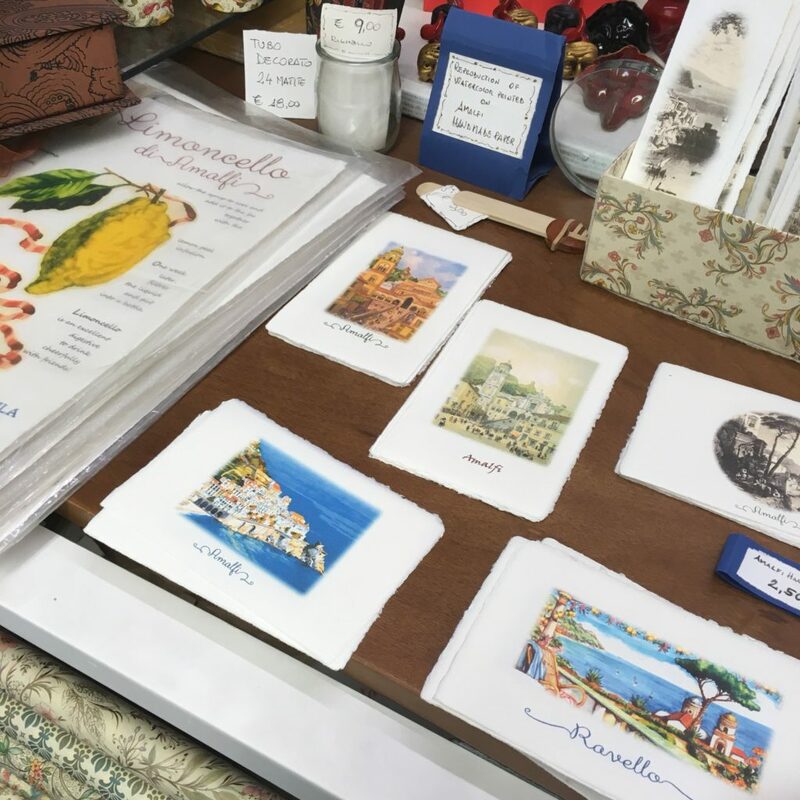 Third stop: stores in Amalfi. 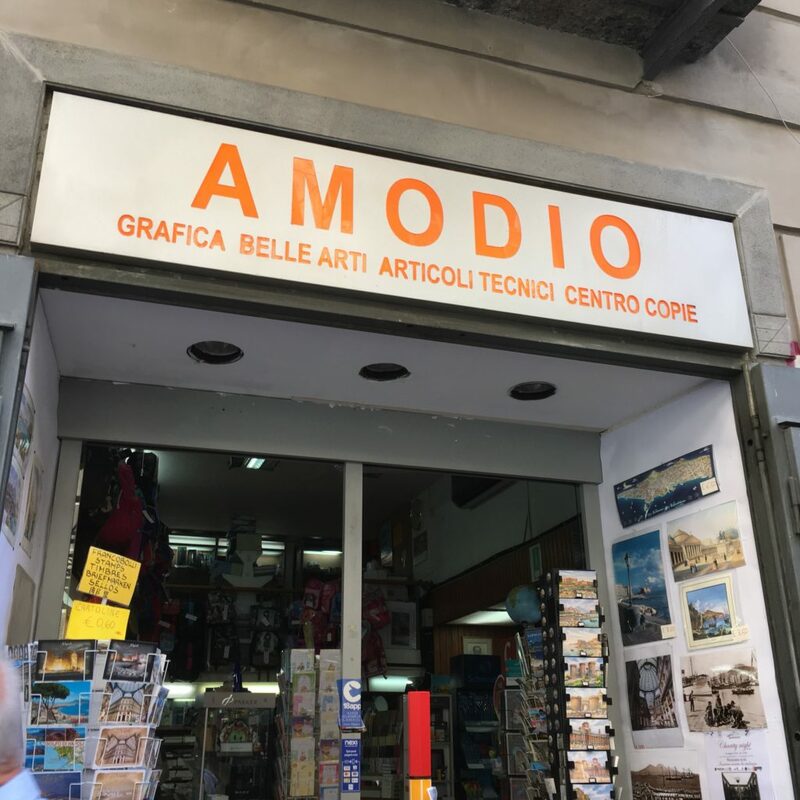 There were a couple of these stores in the town of Amalfi (I suspect they exist in other towns along the Amalfi coast, but I didn’t run into them) — stationary stores that sell primarily dip pens and Italian paper. 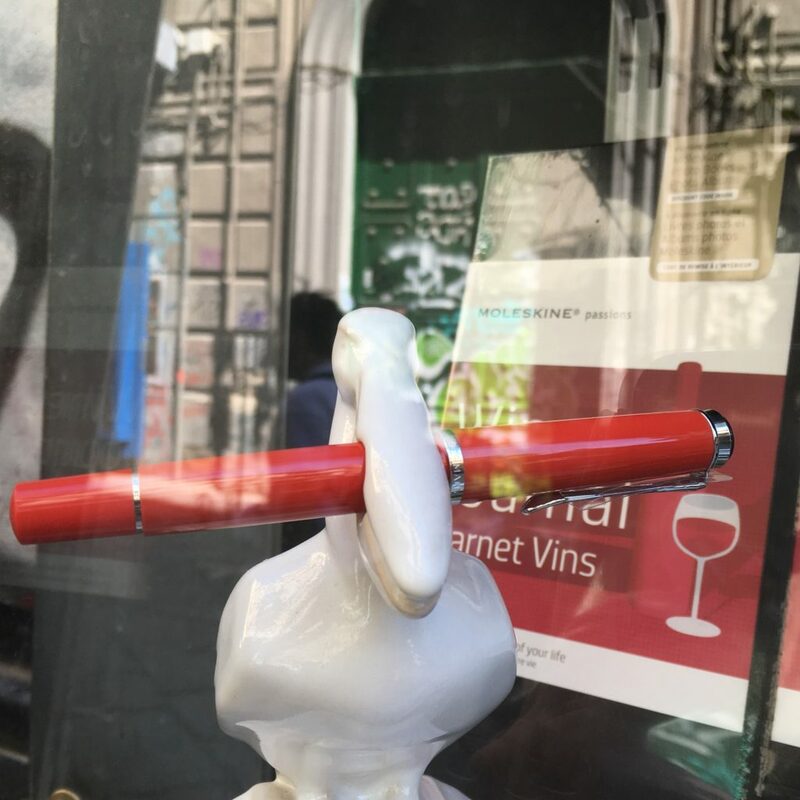 The pen selection isn’t particularly interesting, as they mostly look like cheap souveniers — though a few had interesting glass dip pens, but those were easily €30-5o. But the paper selection was gorgeous! Beautiful patterns, and available in every usage — postcards, notebook, sheets (embossed with the Amatruda logo! ), envelopes and cards… etc. All in all, it’s always fun to shop for pens, but don’t go out of your way, there’s more to life than buying pens. While in Naples, eat lots of pizza, sfogliatella, cuppo (fried food in a paper cone). And in Amalfi, drink limoncello (or buy some so you can drink it after you spend all your money in Rome…) and enjoy the view!